Murdoch Son Stepping Down From Post At BSkyB : The Two-Way The hacking scandal that has ripped through Rupert Murdoch's newspapers in the U.K. has now led to son James Murdoch's decision to step down as chairman of the satellite broadcast giant. James Murdoch, in July 2011. The hacking scandal that has ripped through Rupert Murdoch's newspapers in the U.K. has now led to son James Murdoch's decision to step down as chairman of the satellite broadcast giant BSkyB. News Corp., the Murdoch media empire, has a controlling 40 percent stake in BSkyB and had hoped to take it over entirely last summer. But those plans were exploded by the cell phone hacking and police bribery scandal that led to more than 40 arrests of people connected to its newspapers. James Murdoch, 39, had been chairman of News International — the company's British newspaper arm — but he has had trouble fighting off allegations by his former top executives that he participated in a cover up by secretly paying off a target of phone hacking. His resignation comes just days before a parliamentary report is to be issued that's expected to take a skeptical look at Murdoch's testimony. He will remain a board member at BSkyB and also continue to be the third highest executive at News Corp. But his prospects of succeeding his father, Rupert Murdoch, as chairman there look badly diminished. "His determination to step down at this point has surprised friends, given that only a few weeks earlier James Murdoch resolved to stay on at Sky even as he relocated to New York and gave up his job as executive chairman of News International, the publisher of the now closed News of the World, the Sun and the Times. 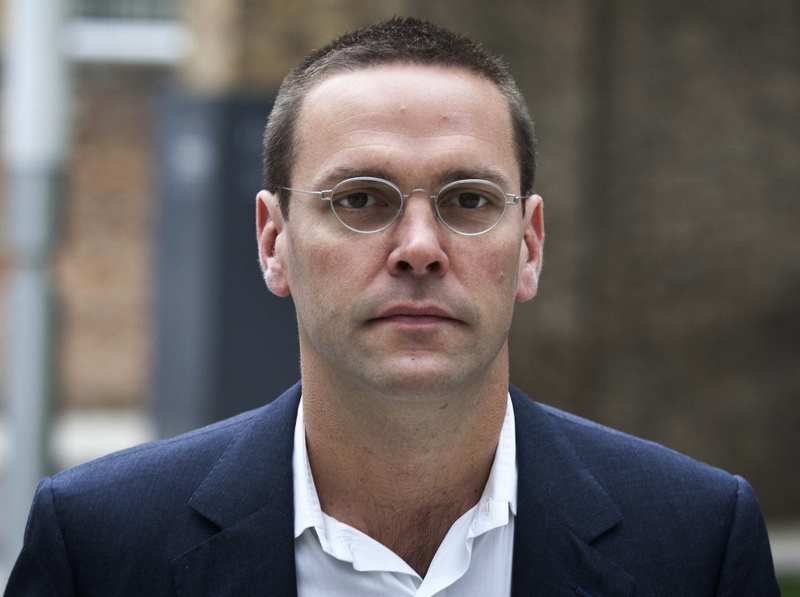 But in a letter to BSkyB's board, James Murdoch says he is "aware that my role as Chairman could become a lightning rod for BSkyB and I believe that my resignation will help to ensure that there is no false conflation with events at a separate organisation." Need to refresh your memory about the scandal? Some of our past posts are here.